ZZ plant (Zamioculcas zamiifolia) is valued for its ability to thrive in adverse conditions, making it a good choice for forgetful gardeners. ZZ plant can tolerate dry periods, low light and infrequent fertilization, and is resistant to pests and disease. Native to East Africa, the ZZ plant will reach heights of 2 to 3 feet and will spread out just as much. The foliage is bright green and glossy. ZZ plant is a slow-grower that rarely needs to be repotted, but if your plant is ready for a new home, repotting a ZZ plant isn't a difficult task. Repot ZZ plant in the spring, using a planting container with a drainage hole in the bottom. The new planting container should be only one size larger than the ZZ plant's current container. 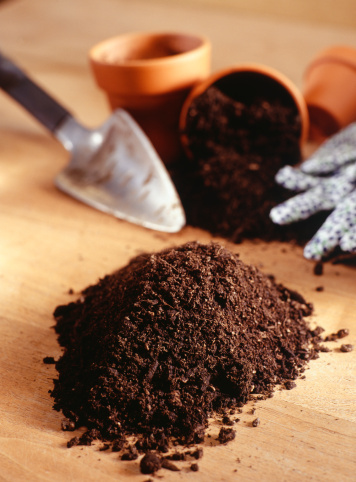 Fill the container with a good-qualitypotting soil that contains peat moss. Remove the ZZ plant carefully from its pot. Cut off and discard any rhizomes that are soft and squishy or that smell bad. 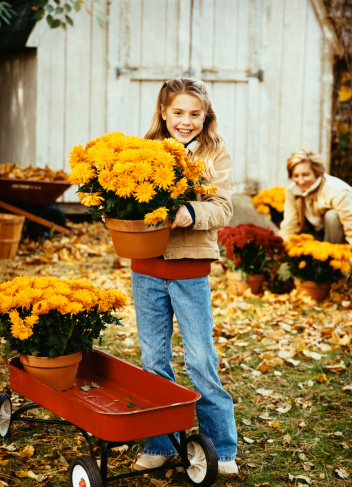 Use a trowel to dig a hole in the new pot. The hole should be just large enough to accommodate the rhizomes of the ZZ plant. Place the ZZ plant in the hole at the same soil depth is was planted in its previous pot. Pat soil gently around the rhizomes. Water the ZZ plant until water drains through the hole in the bottom of the pot. Allow excess water to drain completely before placing the pot on a drainage tray. Place the ZZ plant in indirect sunlight. Water the plant every one to two weeks. Always allow excess water to drain, and never allow the pot to sit in water.